and harder at being more gracious." I listen to myriad, diverse viewpoints on issues of today—gay marriage, women and the priesthood, and discrimination in housing and employment among those issues—, and I find myself becoming more and more cynical and critical. I see narrow-minded opinions and sweeping generalizations from both sides paraded in facebook comments and inferred in shared articles on social media, and I feel called upon to reel them in, to call those people out on their narrow views. I've thought, I'm going to be the middle man and will object to outrageous interjections from all sides. That way I can bring balance to these arguments. As I review my efforts, I realize that I'm simply disagreeing with anything and everything that sounds like an opinion. Who wants to be around someone that simply disagrees with everything? Do I want to be remembered as the guy that always looked for something to disagree with in a conversation? When someone seeks a listening and sympathetic ear in order to confide tender feelings, do I want that they avoid me because I'm a disagreeable person? I think that you begin to see that shallow, smug opinions abound...and they are not real answers to anything. And there is much sincerity in the convictions people hold, even when you believe they are wrong...I learned a lesson a little too late probably, but have taken it to heart, and that is to work less hard at being more right than others and harder at being more gracious. 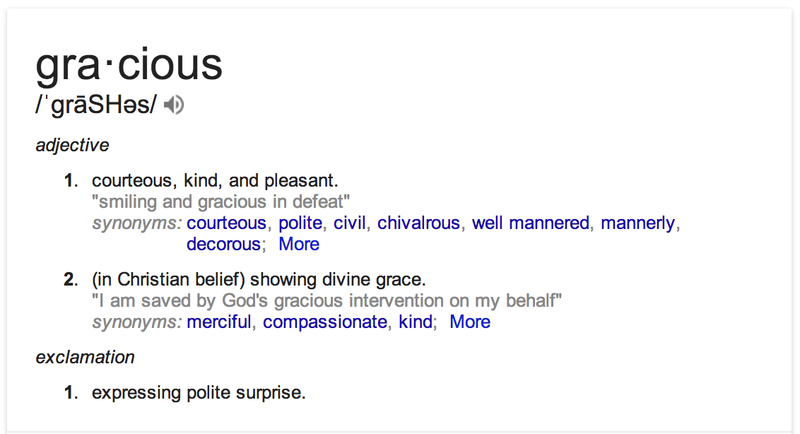 That's what I desire: to be more gracious. Well stated. It is hard to want to be the independent, sound and reasoned voice. I eventually gave up on Facebook. I like your conclusion to be more gracious. What a good idea. What a really wonderful post. My big struggle is fighting the self-absorbed assumption that everyone who tells me something is dying to hear my opinion and advice on the matter. Sometimes people just want someone to talk to. I'm trying to learn to just let them have that.